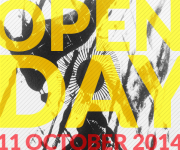 You’re invited to Red & Yellow’s last Open Day for 2014. Why? Because you’re full of ideas. You’re a spark. You want to change opinion, start a debate, move, unite and conquer. You’re a sponge; a walking, talking, breathing ball of inspiration and imagination. And we would really like to meet you. Come and find out what a future as a Red & Yellow student holds for you. At our Open Day you will learn why Red & Yellow will prepare you for a successful career and why we will ensure that you are better prepared than anybody else going into the Marketing, Design and Advertising industry.